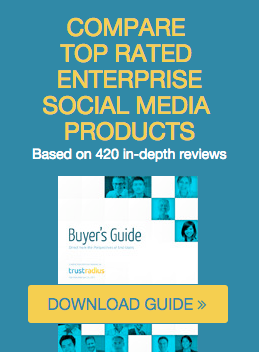 Workday is clearly onto something, but what does the TrustRadius member community think of the product? In this article, we summarize five member reviews to date. We want to emphasize that this is early anecdotal feedback and not yet statistically significant. It should also be noted that the contributors to date are primarily mid-sized organizations with less than 5000 employees, and Workday's primary focus has been with very large enterprises. We did however feel that there were insights interesting enough to share and to invite others to participate. Community ratings summary for Workday. [The] user interface is exceptionally good. Very user-friendly--easy to find data. UI features lots of cool things like org charts based on pictures with strong visual presentation. It’s a very dynamic interactive experience--appeals to a younger audience. Don’t have to keep opening new screens: application flows to proper next spot. Look and design is very Facebook-like, very "social media." You know what to do instinctively. All of this is important because, as some members express, the product’s ease of use both removes an organizational barrier to adoption and reduces the need for documentation and training. System management is incredibly difficult. The software is based upon Business Objects which is well organized and quick, but not something I or I believe most people are familiar with. It is not your typical relational database. You cannot see data in the background and need to know where to go to find it. It is hence difficult to create reports and to enact integrations to other systems. It presents a lot of challenges. Hernandez also notes functional and usability challenges with security administration and the mass import tool. The HR Systems Analyst at the 10,000+ employee global software company mentions, “It has only gone down a couple of times and both times we were called 5-10 minutes beforehand that they needed to bring system down, and I understand why.” He did experience some latency issues with v. 17, though the product is now on v. 19 and these may have been resolved. Based upon early reviews, experience with Workday’s service and support seems to hinge on whether the support is being provided by Workday directly or by its reseller Virtual One Source. According to our members, organizations with fewer than 1,000 seats must work with the reseller and, though our sample size is limited (three members at two unique organizations reporting this issue), the quality of reseller support is a serious issue. 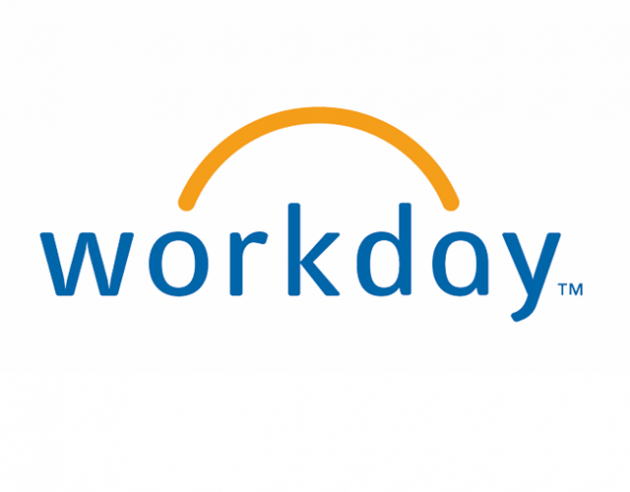 In contrast, our members report generally positive experiences working with Workday directly. “The Workday support group is extremely helpful. In fact, I think I owe them some cupcakes,” says the HR Systems Analyst at the 10,000+ employee global software company. Workday provides a quarterly update but does a poor job of letting us know what has changed. They tell us at a high level, but we still have to audit everything (e.g. data security) and we don’t understand the impact of updates until after we have completed a detailed audit. … This process alone takes two weeks every quarter. This applies to updates to the user interface, as well. “We have to figure out how to do things in the new interface and then modify all our internal documentation,” says Escalante. Workday offers online training options, too, but those can also be expensive. “A [virtual] reporting writing class is $600 per person,” says Hernandez (Senior Technical Program Manager at a 1001-5000 employee software company). Escalante (HR Business Analyst at a 501-1000 employee software company) experienced several communications breakdowns with the reseller. “We did not get much information from the implementation team, on why things were being done the way they were, and we felt a bit out of the loop. Their process was very complex and communication with us was poor,” she says. But Escalante suggests that some of the responsibility may rest with Workday, which, she says, has “virtually no best practice documentation or admin user documentation.” As a result, her reseller may have been in the dark about the implementation process as much as some customers. The IT Director at the 51-200 employee nonprofit organization echoes this sentiment. He says that the reseller had “no expertise and their level of technical expertise was poor.” When he went to training, he was surprised to find his reseller’s team was attending, too. He postulates that Workday’s frequent release cycle might make it hard for resellers to keep up with product changes. Hernandez adds that there are several out-of-the-box integration templates for products like Cornerstone, Success Factors/Plateau, and WageWorks. “They are still not easy to configure, but the bulk of the work is done,” she says. [That level of configurability is] helpful if you are a large company and can dedicate the resources. However, some areas are too technical for an HR person to understand. If your goal is to not have to build up IT you will find that even a small company has to provide technical support from IT. As a small business, you need recommendations for process. Endless configuration choices put a lot of burden on the people who know the system. You need more of an out of the box configuration. A more turnkey approach would have been helpful for our size of company. When I talk to others about deploying Workday, in most cases, they assume they will reduce headcount for systems administration. In fact you will need to increase. Each area requires expertise knowledge. Since everything is changing so fast, you need people who are focused in each area. However, you need a different (lower) level of expertise so that's less pricey. It's important to note that while you have sandbox and production instances, as a small company, I don’t have a QA department, so to regression test everything becomes problematic. It forces me to be very diligent on customizations and integrations. I really can’t customize too much. I cannot afford to go through all the regression testing. I went to SaaS to not have to build up [an] IT group, but Workday’s model means I cannot customize anything. It’s one of the issues that’s ‘undersold’. Access to a central, up-to-date repository of all HR-related data. Workflow management and functional integration. The ability to track and report on key organizational metrics. “We can now provide metrics like ‘Time to Fill Position,’ which we could never do before. While our current data set is limited, we felt there were some important themes worth sharing. We will update our findings in the future when we have a larger data set. 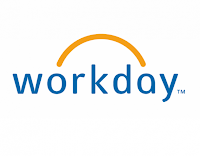 Workday is a great product that delivers tangible business benefits with a rich feature set, outstanding end-user usability, and terrific performance and reliability. Despite the issues mentioned in this article, Workday scored a highly commendable 8.6 out of 10 in likelihood to recommend and a 9.4 in likelihood to renew. Members cite challenges working with the reseller. Make sure to discuss any concerns with them up-front. Have realistic assumptions about staffing. Don’t assume that implementing Workday will allow you to reduce headcount. Indeed, to get the most out of the software, you may need to increase it. We welcome your feedback and thoughts on this article. What has been your experience with Workday? Please leave a comment below, or better still complete your own review here. Any updates regarding Workday and OSV?